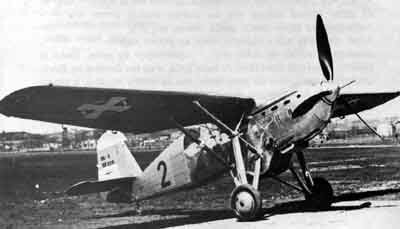 Yugoslavia is not much noted for its wartime aircraft production. This is a true loss since much of the data on what aircraft were produced before German armies over-ran the country has been forgotten. One of the forgotten products of the Yugoslavian factories was the Ikarus IK-2. The Ikarus factory started out producing Potez 25 reconnaisance biplanes and Avia BH-33E fighters under license. Breaking from this, the company produced the IK-L1, a prototype for a gull-winged monoplane fighter. It was powered by a 860hp (641-kW) Hispano-Suiza 12Ycrs engine. 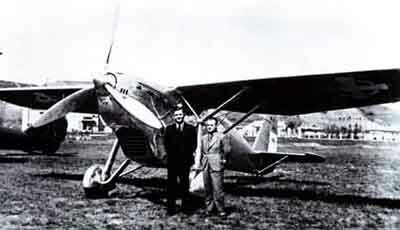 The aircraft first flew on April 22nd, 1935. Unfortunately, the first prototype crashed and a second prototype, designated IK-02, was built. This was followed by a series of twelve IK-2 fighters. The fighters were delivered early in 1939. These were generally similar to the early prototypes. The IK-2s flew with 107 Eskadrila against the Germans in 1941. The quick fall of their country under the massive onslaught prevented the planes from getting much time to fight or to make a mark. While this aircraft may not have made an impact on its theatre of war, or flown a singular exploit of renown, the Ikarus IK-2 is interesting in the fact that it was domestically-produced, and despite the circumstances and incredible odds, flew for its country. © simviation.com 2001. All rights reserved.